Many Freightview users will run a quote, choose a carrier and book their shipment all at the same time, but we know that isn’t the workflow for all of our customers. In last weeks blog we introduced the ability to save a quote, which you can read about here. We thought it was important for you to know a quote doesn’t just vanish because you do not save it and assign a reference number. We will still store all of your recent quotes for shipments you have not booked, in the recent quotes section, for up to 90 days. From here you can see a list of the quotes that weren’t saved or booked. You can choose to see only the quotes you ran, or the quotes that have been ran company-wide. Once you’ve selected your quote, it’ll show you the rate list. If you ran the quote in the past, we will prompt you to refresh your rates, so you’re seeing the most up-to-date rate for that quote. This will allow you to get an accurate rate without having to re-enter all of your quote information. From here you can save your quote, or continue on into the booking process. Find a workflow that works for you and your company operation. Quote, book, track and analyze shipment data all on one cloud-based platform. 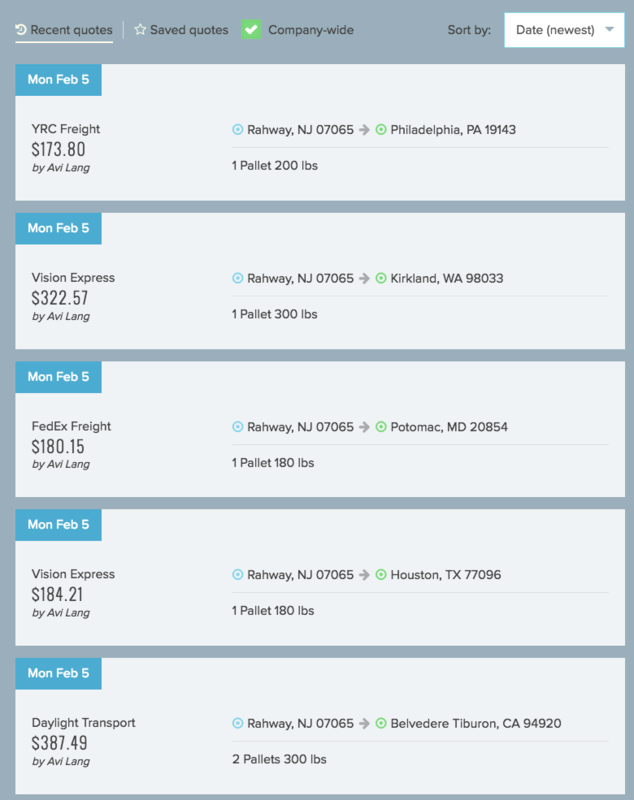 Try Freightview for free today.